When Mother Nature hinders critical infrastructure, especially in the world of electric generation, transmission and distribution, it’s crucial to partner with professionals who specialize in utility disaster recovery – and have ample storm stock inventory near you. 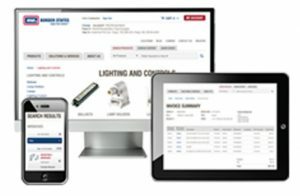 The right distributor partners will work with a wide base of manufacturers to provide 24/7 service, working side-by-side with you and putting in extra hours to deliver equipment, logistics and support. The simple goal is to ensure no crew is unable to perform restoration work due to material availability. It’s also worth noting the right distributor partners will most likely provide a 24-hour, toll-free emergency help line, managed by customer service personnel who can assist you with any emergency requirements you may have for product or technical assistance. Establishing a strategic business relationship or an alliance with a distributor that carries storm stock is important for multiple reasons. One is that many utilities are experiencing a shift in management, watching seasoned employees retire and be replaced by personnel who have less experience in responding to disasters that cripple utilities. In the wake of such a disaster, the right distributor will have secured storm stock inventory your utility will need to recover. Thanks to this type of partnership, the distributor can provide you with the crucial “first wave” of product. From there, the distributor will help you secure the “second wave” of material. This is accomplished by working with a vast and strategic manufacturer base to order what stock wasn’t immediately available, helping you complete your restoration in a timely manner. Some of the storm stock materials your distributor should carry include fuses, splices, automatics, armor rods, cross arms and braces, and a large variety of pole line hardware. There are only a handful of distributors in the U.S. who are capable of successfully executing this recovery model. The benefit to utilities is they won’t need to rely solely on manufacturers, nor will they need to worry about investing in massive amounts of inventory and storing it in warehouses. Their distributor partner will handle all of this, using multiple satellite locations to deliver material exactly when and where it’s needed. When a disaster causes the need for storm stock, a team of material management specialists will touch base with your utility immediately, then assemble a “storm response room” to address your specific recovery needs. Phones ring off the hook, tables light up with screen monitors and coffee flows around the clock as professionals address employee availability, on-hand delivery and other aspects of your disaster response mobilization. The team works quickly and efficiently to procure exactly what materials are needed to recover from a particular storm. 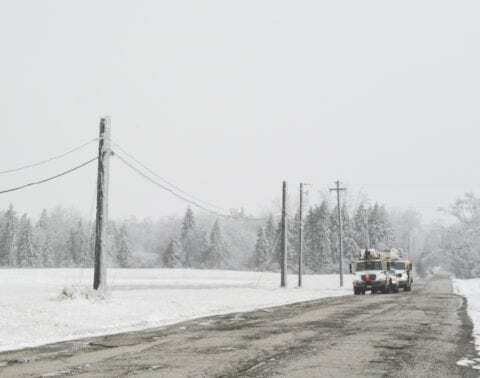 For example, if blizzard gusts took down 200 miles of overhead transmission line, the distributor’s buyers will be working with vendors to secure that product, remaining in close communication with the utility. By forming an alliance with material management specialists, the following costly and time-consuming processes are streamlined: bid preparation, bid distribution, analysis, multiple purchase orders, expediting, multiple invoices, statements and payments. The right distributor professionals will always look out for your utility by focusing on additional savings opportunities related to inventory management, standardization, safety, training and total cost reduction.